Silvergate Media appoints France Televisions Distribution as TV sales partner. 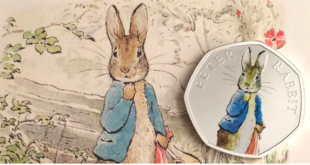 Silvergate Media has struck a deal with France Télévisions for the TV, home entertainment, licensing and merchandising rights to the new Peter Rabbit TV series. 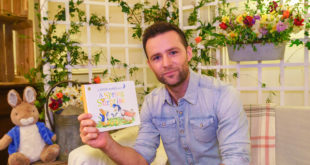 The show (pictured, left) has already debuted on Nickelodeon US and will shortly air on CBeebies in the UK. Silvergate has also appointed Paris-based France Télévisions Distribution as international sales representative for Peter Rabbit and hit pre-school show Octonauts (pictured, right), both produced by Brown Bag Films in Ireland. The commercial division of the French public TV group will manage sales of the TV rights to both shows for a number of territories across Europe, Asia and Africa. Prior to the deal, Silvergate was handling all international TV sales for the properties. It retains responsibility for TV sales in the UK, France, Germany, Australia, Japan and Latin America. Nickelodeon is responsible for TV sales in the Americas and India for Peter Rabbit only. Geraint Marsh, EVP, Television and Consumer Products at France Télévisions, said: "We are delighted to add these Silvergate properties to our portfolio of European productions. Our commercial team is looking forward to sharing them with our wordwide partners." Mary Durkan, CEO at Silvergate Media, added: “Both Peter Rabbit and Octonauts have captured the imagination of audiences internationally and we are delighted that France Télévisions Distribution will now be working with us to bring on board more broadcasters. "They have a fantastic track record in taking shows globally so we look forward to expanding the reach of both these properties." The brand new Peter Rabbit series consists of 50 11-minute and three half-hour specials. Based on the books by award-winning design team Meomi, Octonauts combines elements of classic team action-adventure with CGI animation to transport preschoolers into a world they can’t ordinarily visit: the ocean. 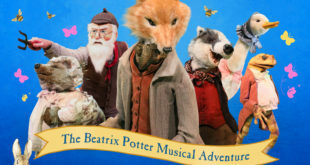 Silvergate Media holds worldwide licensing and merchandising rights for the Classic Peter Rabbit and Octonauts brands. It holds all audiovisual, licensing and merchandising rights for the new CGI Peter Rabbit worldwide, excluding the Americas and India which are controlled by Nickelodeon US. 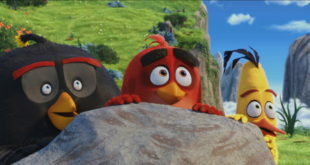 Penguin will be supporting the animation in 2013 with a full publishing programme, with other licensed merchandise to follow.